Google Chrome has released its latest version (Ver. 17), and according to various technological magazines, it occupies the pole position among the browsers. The excellent built-in security features along with its supreme support for HTML5, Bookmarking and Preference Syncing are some of the many features, that comes built-in with Chrome. Why this popularity for Google Chrome Extensions? 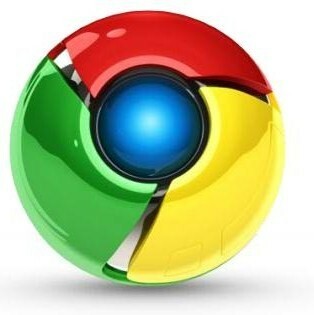 The popularity of the Chrome browser is evident from the fact, the number of Google Chrome Extensions developed by users exploded from 300 to 11,500 in its first 14 months. After the make-over of the Google Chrome Extension Gallery, a few months before, now it has become even easier to find the extensions. These Top 10 Google Chrome Extensions of the year 2011, will help in productivity, security and will make the Google Chrome experience, even better. Xmarks Bookmark Sync, allows you to sync your user names, passwords, bookmarks, across many browsers like IE, Google Chrome, Safari, and Firefox. This is an extension that’s necessary for users of multiple computers—and even multiple browsers on the same or multiple computers to sync all their data in one place. This app will help you in auto-filling the form and also saves user names and passwords. Where it differs is, by its encrypted password feature. It can also import your data from other tools like, KeePass, 1Password or Roboform, as well. Imagine using Gmail without internet connectivity. That’s what this app is all about. You can use almost all features of Gmail using this app. Next time you go online, it synchronizes everything so messages to be sent will be sent and new ones are received. “Got a Broadband Connection?”. If your answer is YES, this app is for you. This app, shows youtube videos in its Highest Definition Possible. Google created this app for users of its Docs online suite. Whenever you click a supported link format, this extension directly drops you into the Google Docs Viewer. So no more, download a document to view it and to again upload it. Want to edit the images you encounter online? Try, this app, which again is from Google itself. This app is pretty slick and supports full-fledged editing. Want to have you own, unique looking start-page? This app is all about making your browsing session more productive with a splashy look to display top bookmarks, notes and recently closed tabs. Scribefire for Bloggers. Supports just about every blogging platform and you can do all of your editing in just a single chrome tab. Now our gift for friends with (very) limited internet speeds. This app will be your best friend ever. This app, advertises itself as the best app you can ever get. Why? It blocks advertisements in web pages, and also blocks advertisements inside flash-based videos and games. Now, it also allows “acceptable ads”. WOT is just more than an extension. A Community of users, rate websites for its trustworthiness. To be very clear, WOT makes your stay in the Internet, SAFE. The above are the best rated Google Chrome Extensions for the year 2011.